Create your perfect style for the coming warm days. I have a wonderful skirt for you with a brilliant look. It looks great and is very comfortable to wear. This pattern looks great for elegant and sporty styling. 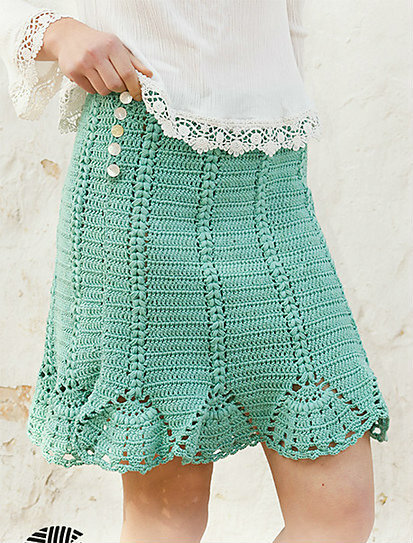 The skirt is made in a beautiful turquoise colour. You can change it according to your own taste. To create this design you need a DROPS Muskat suit. The skirt is available in sizes from S to 3XL. This is a free pattern for everyone. Good luck!